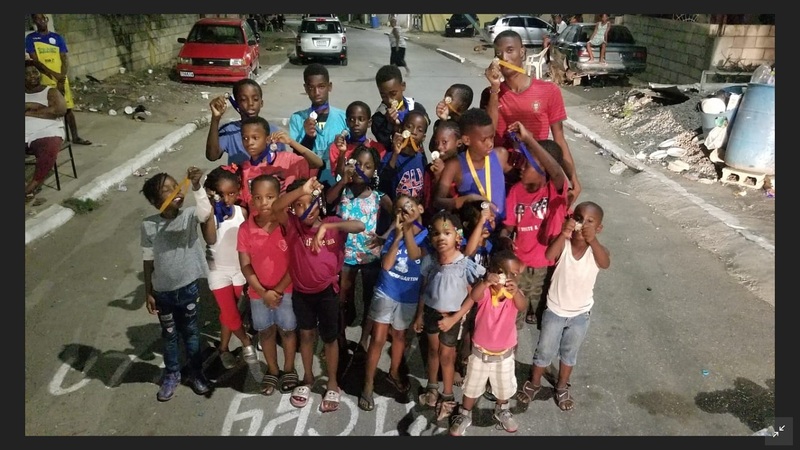 A group of Maverley children pose with the medals they earned at Sports Day for Peace. 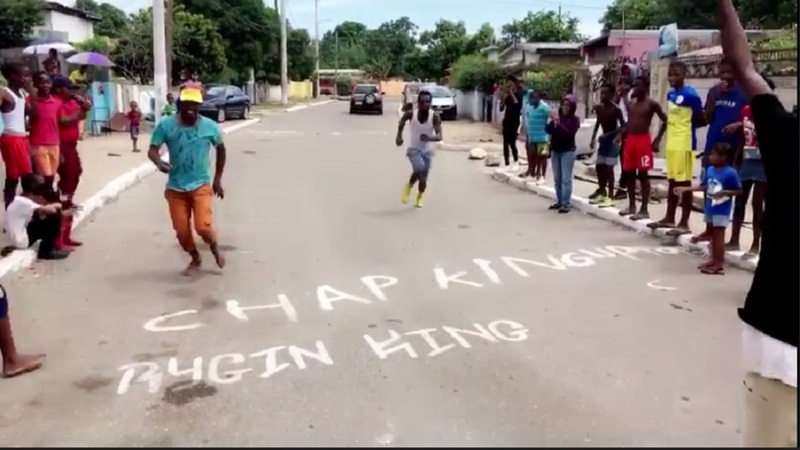 Grown men running around barefooted, competing with large groups of children in a number of sporting activities including lime and potato races and football. 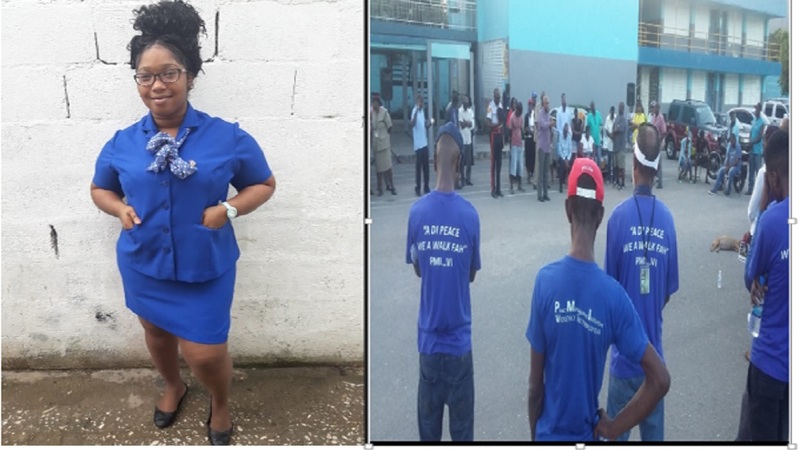 Those were some of the sights and scenes in Maverley, St Andrew last Saturday, where scores of residents from the sometimes volatile community came out to participate in the event, dubbed Sports Day for Peace. The event organised, by a group of young people saw residents putting aside differences that had left them divided for years to participate in the event that saw parents come out with their children. Older residents also joined the positive cause. “It was an event that saw residents who had not seen each other for years coming out to participate in a day filled with activities,” said Kimoya Moss, organiser of the event. The event was held in the Tamrind Turn section of the community and started at 10:00 am. 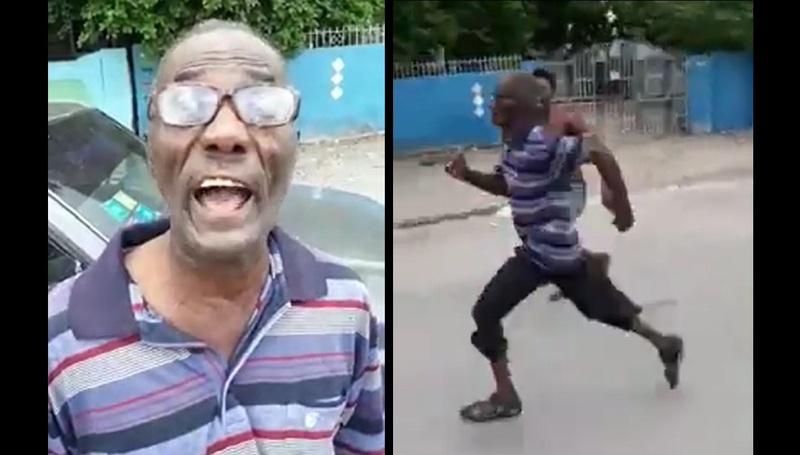 “We really loved what took place there was potato race to see big man come out dressed in them red or blue colors a compete in a potato race, lime race, bun eating contest was just a joy to see,” said Moss. Frustrated about the division that ongoing conflicts have created in the community of Maverley, Moss was part of a group of young people who said despite not having a lot they decided to come together to organize the sporting event in a bid to bring about residents in the area.